That’s funny when it’s the democrats who are holding our country hostage. Ted Cruz is the flag bearer for the T-Party and heir-apparent to Sarah Palin. It just goes to show you that the march of the intellectual midgets is not exclusively white, bigoted, male, or southern. 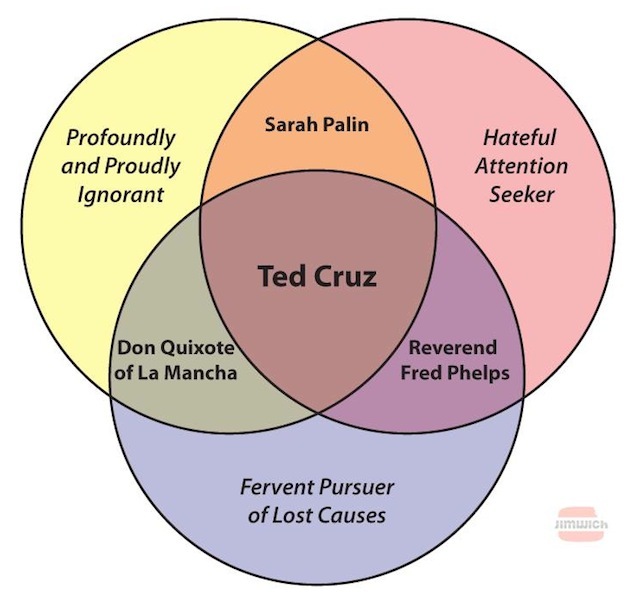 Oh wait… Ted considers himself to be all of those things.